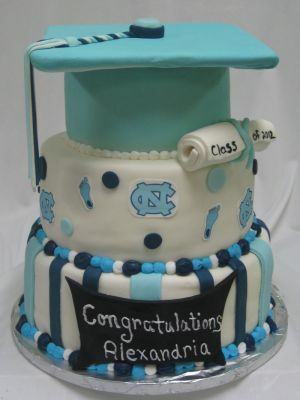 There are more graduation cake ideas than we could ever make, but we are going to try! Here are a few. Piece-A-Cake makes custom graduation cakes to help remember and celebrate this special accomplishment in life. 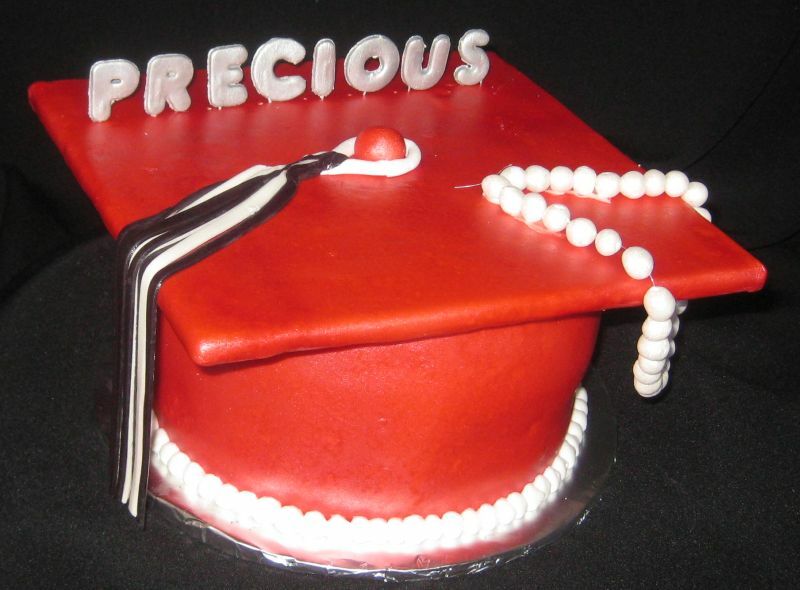 What will reflect their interest and give them a cake to remember forever, just for them? 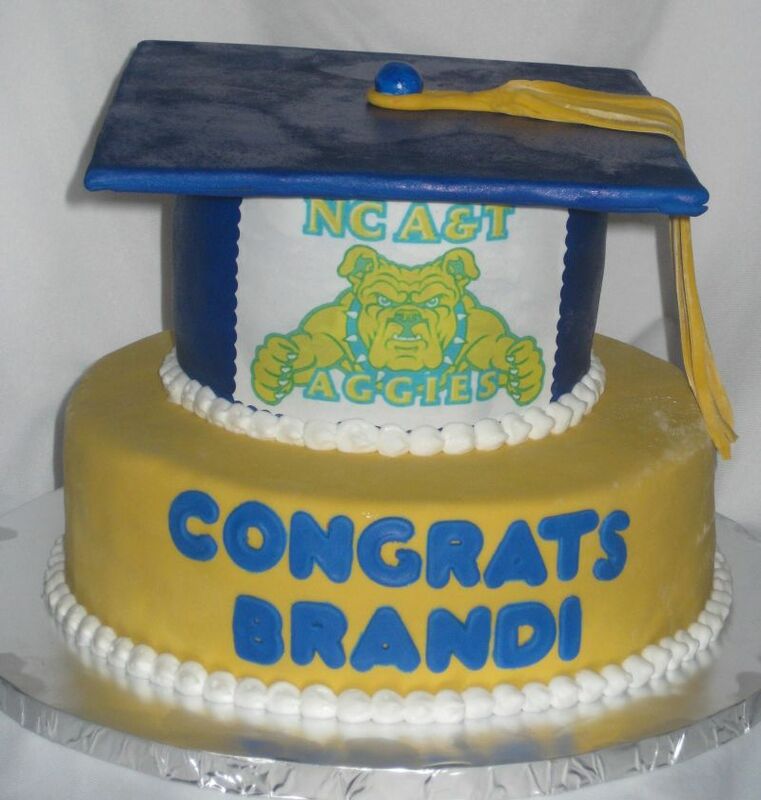 This graduation cake idea with edible cap and diploma was made for the lovely Hilda V. of Wilson, NC. The cake flavors were, bottom tier: marble with butter cream icing, middle tier: vanilla with butter cream and raspberry filling and the hat was vanilla with butter cream icing all covered with marshmallow fondant. Everything was edible, even the tassel. Congratulations Hilda! 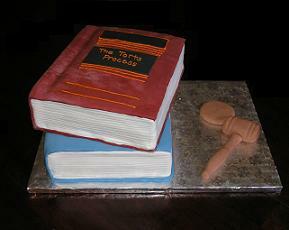 The law books cake flavor was yellow and vanilla with butter cream frosting. 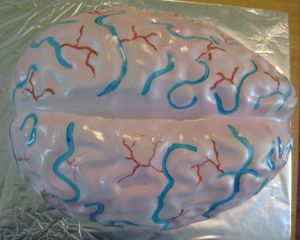 The cakes were shaped then covered with marshmallow fondant and decorated with edible paint. 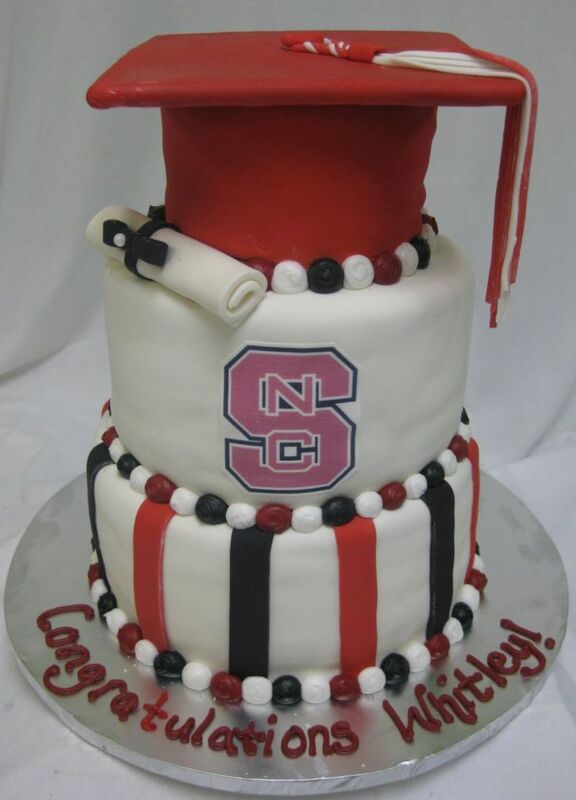 This 3 tier NC State graduation cake had an edible diploma, hat, with tassel, and logo. Flavors were red velvet with cream cheese and French vanilla with butter cream, yummy! Celebrate this grand occasion with a special cake, just for them. 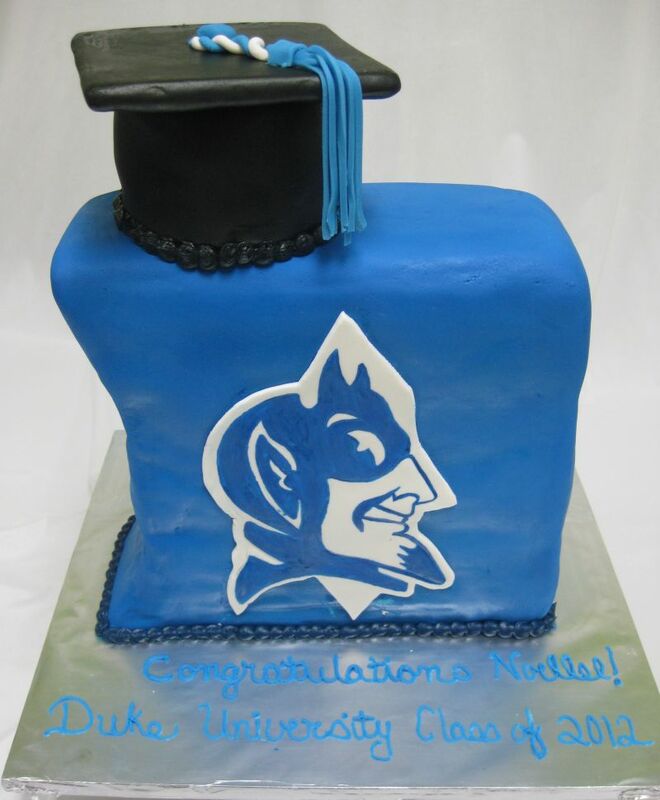 This 3D Duke graduation cake was half strawberry and half French vanilla flavor, yummy! Use your school colors to custom design a special high school graduation cake like no other. 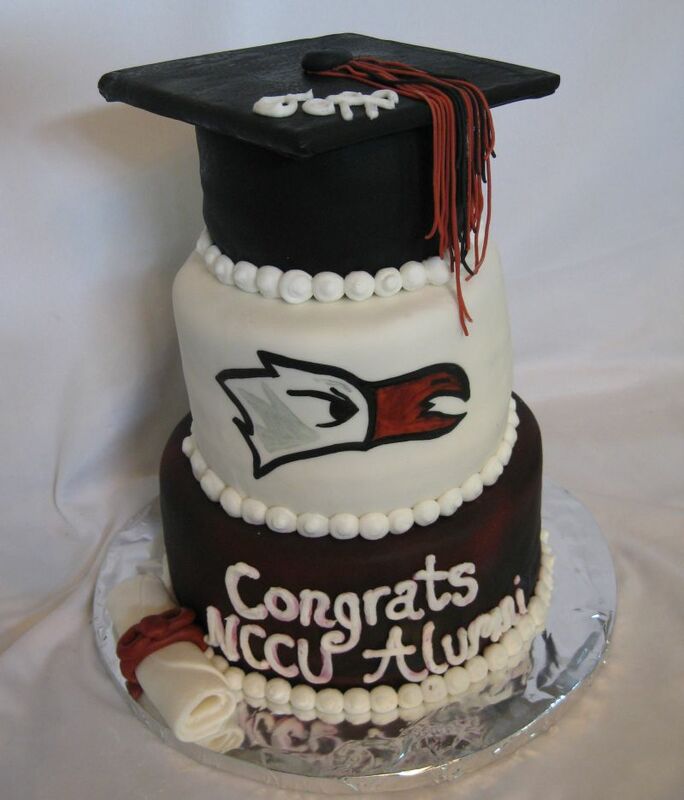 This two tier NCSU graduation cake served 25 and was decorated with our hand made marshmallow fondant. 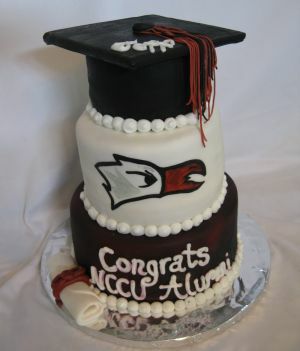 This NCCU graduation cake idea had three different cake flavors! 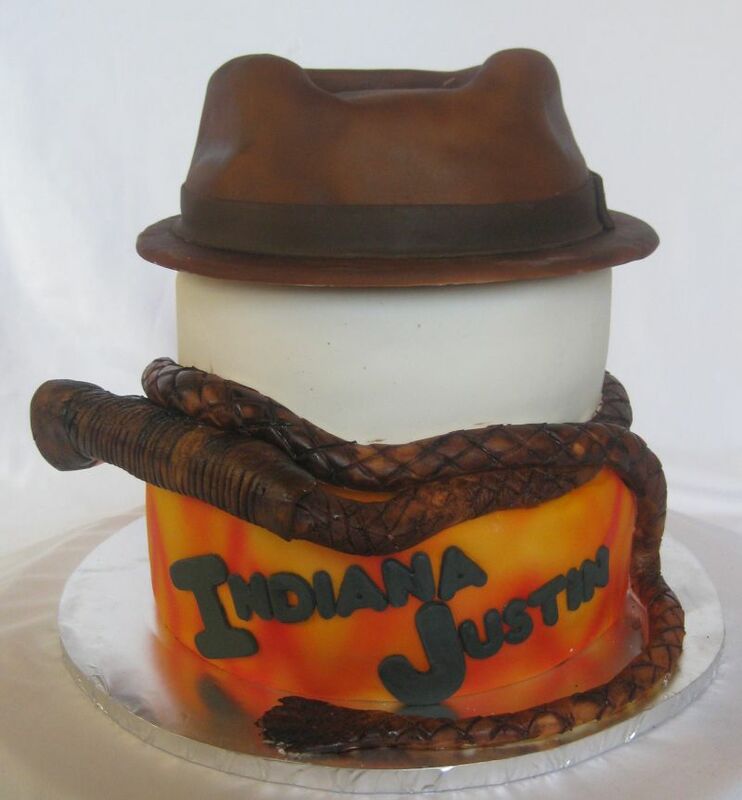 Indiana Justin was his name and archeology was his game. This archeologist graduation cake fit the occaision perfectly. 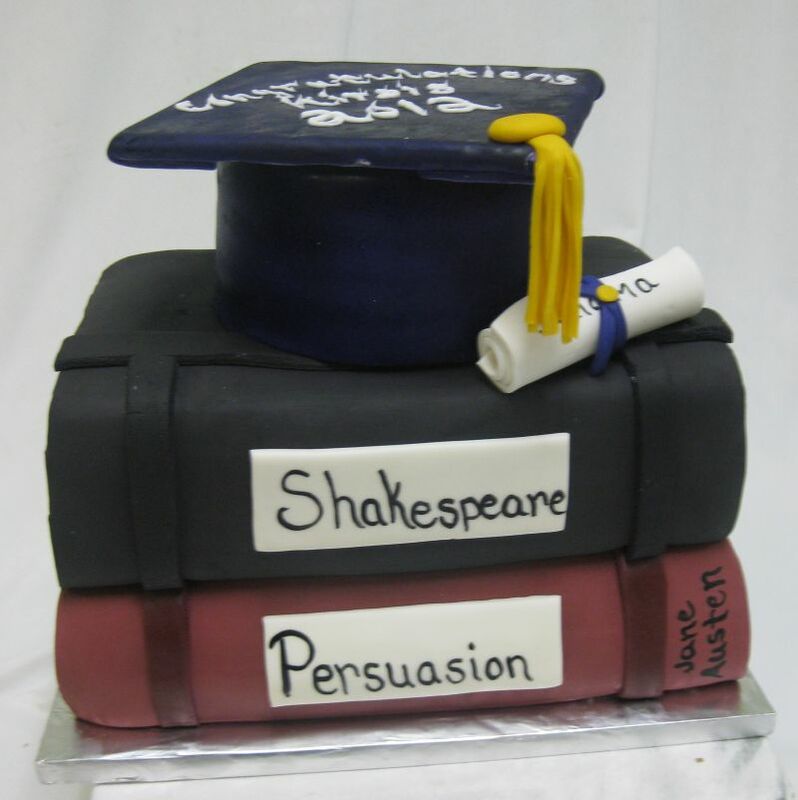 Design a custom cake that represents the personality and style of the graduate. This UNC graduation cake idea was marble with chocoloate mousse and French vanilla with butter cream flavors. 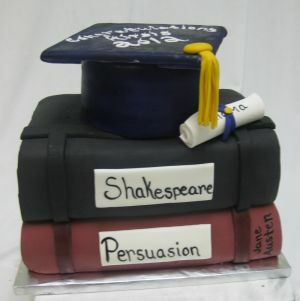 The stack of books graduation cake had Shakespeare and Persuasion, two favorites! 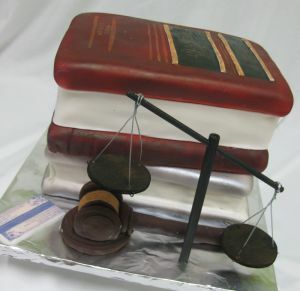 The law books graduation cake had the scales of justice. 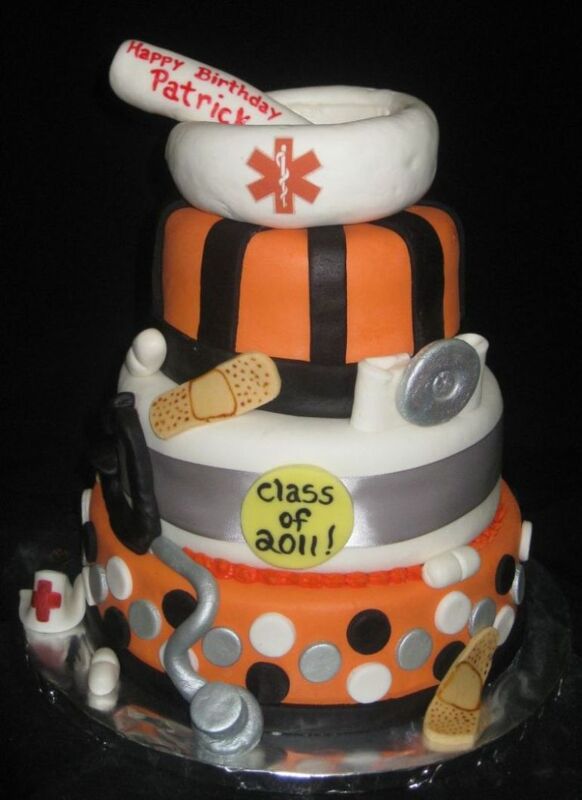 This nursing graduation cake/birthday cake was packed with fondant medical items including band aids! 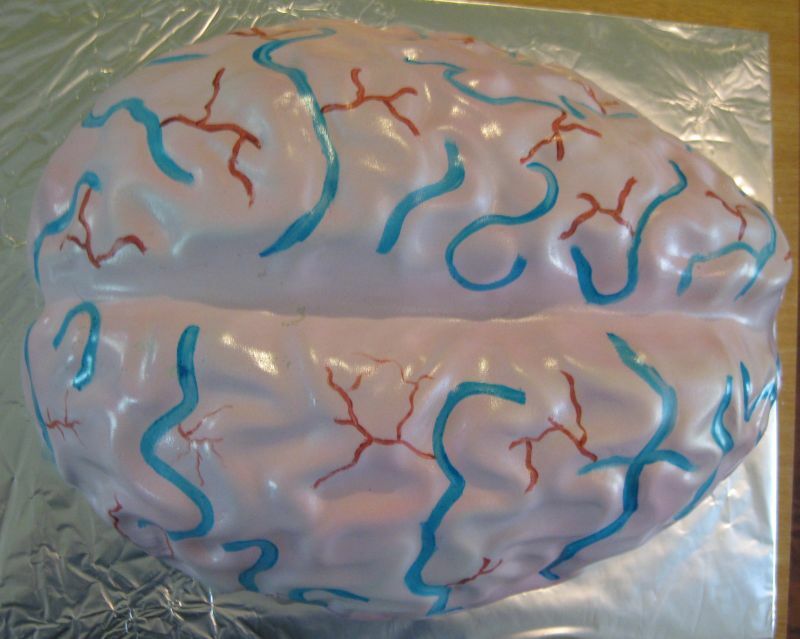 What do you get a brain surgeon for their graduation cake? This was a precious graduation hat cake! 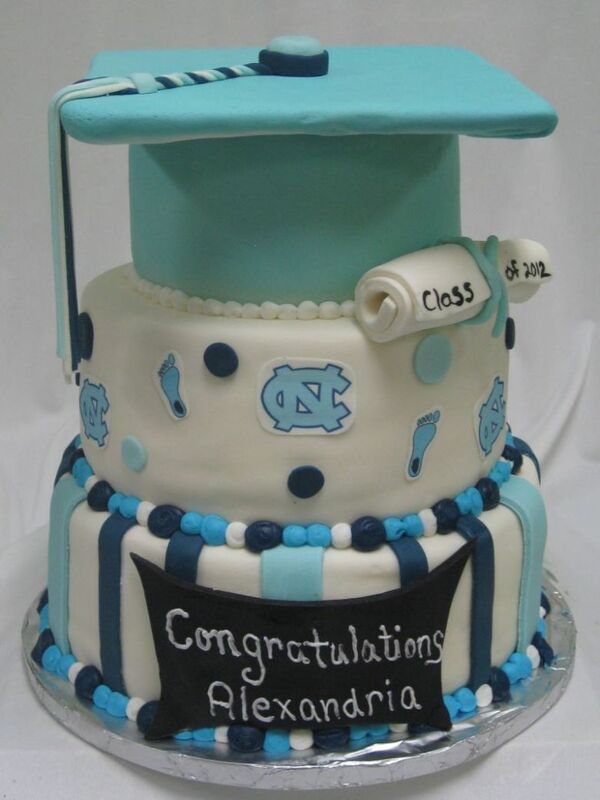 This UNC graduation cake was French vanilla with butter cream. 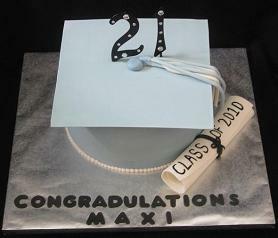 Designs included foot prints, diploma, cap with tassel, and ribbon all edible made with yummy marshmallow fondant. This graduation hat cake was ordered by Amaka “MAXI” from Chapel Hill, NC. 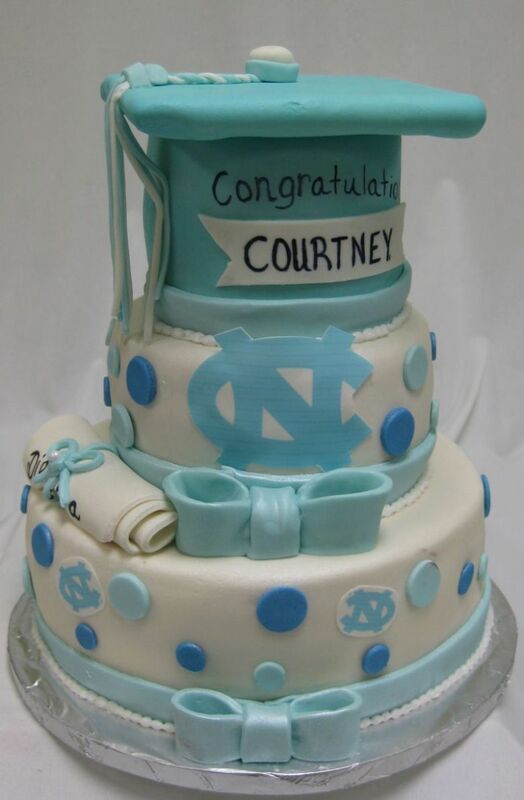 This was a special cake because she was celebrating both her 21st birthday and graduation together! 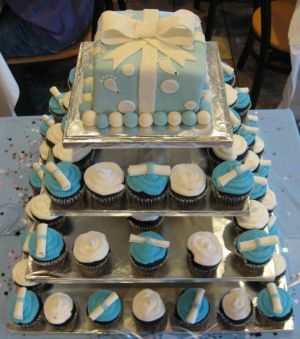 The cake flavor was vanilla filled with butter cream icing and covered with our hand made marshmallow fondant. This graduation cupcake idea uses edible fondant diplomas perfect to match the celebration. Cupcakes are an easy and fast way to serve your guest with little mess to clean up. Mix and match flavors so everyone can enjoy a piece a cake! 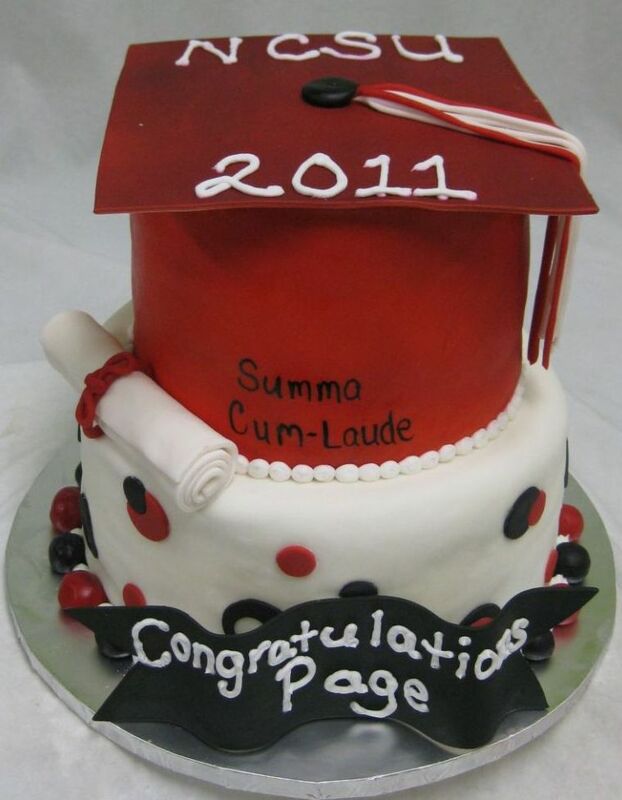 Order Your Graduation Cake Here! 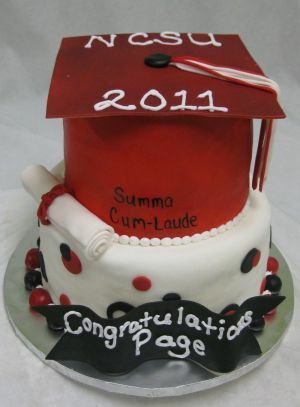 Here are some preschool graduation cake ideas we have done recently. Finding the combination of price, taste, excitement, and uniqueness was indeed a challenge. 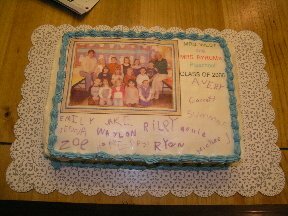 This picture cake was for a preschool graduation. I had the teacher get all of the students to sign their names on a piece of paper, then took the class picture and scanned it in along with each signature. We printed it out on edible paper with my printer that has edible ink, and then decorated it! The kids loved it! They were amazed to see their faces on that cake! 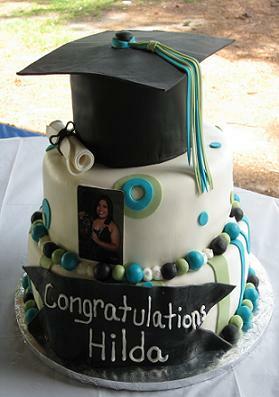 What a great graduation cake idea! See Our Picture Cakes Here. 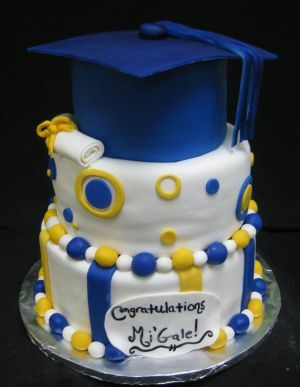 This is a kindergarten graduation cake idea we did for the Tigers. The schools’ mascot is a tiger so I made it with fondant tiger stripes. It is a 12x18 sheet cake, that is butter recipe, with butter-cream icing colored orange. The black stripes are made from fondant. I also printed the class picture on our printer with the edible paper & ink. 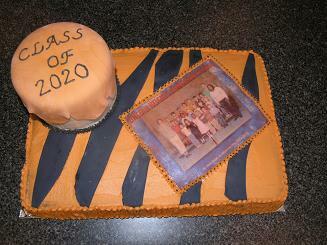 This graduation tiger cake was the talk of the class. These graduation cakes were a hit with the kids and parents! Each month we choose our favorite cakes made and email them to our e-zine subscribers. It’s free and has some really cool cake pictures, instructions, tips, and design ideas. We invite you to join our cake pictures e-zine here. E-mail Steph about your graduation cake ideas. 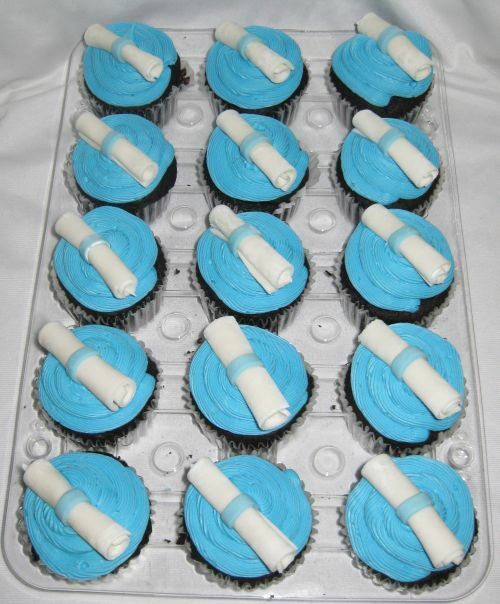 This graduation cupcake presentation included a custom top cutting cake. 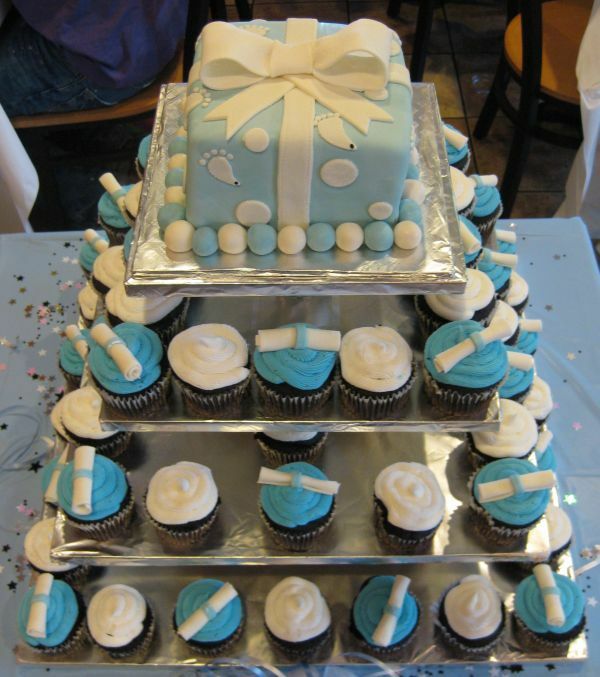 At almost half the price of a traditional cake, a custom cupcake presentation is an inexpensive way to get the cake tiered look without the cost.